If you are looking for that perfect lock up and leave holiday home this may just be it. The property is located on a quite road in the beautiful town of Josselin. On the ground floor the house offers a cosy lounge with wood burner and a separate family kitchen which gives access to the courtyard and garden. From the easily maintained garden you have lovely views over the town. On the first floor you have a bedroom with ensuite shower room and a second bedroom with wash hand basin and access to a separate WC. On the second floor you have a large master bedroom with ensuite bathroom. The property is in overall good condition and ready to move into. The location is perfect with only a 300m walk into the centre of this popular town with shops, bars and restaurants. For those who enjoy walking and cycling just a short walk from the property is the Nantes Brest Canal and the towpath, you can always take advantage of the canal boat hire and water sports in te summer. 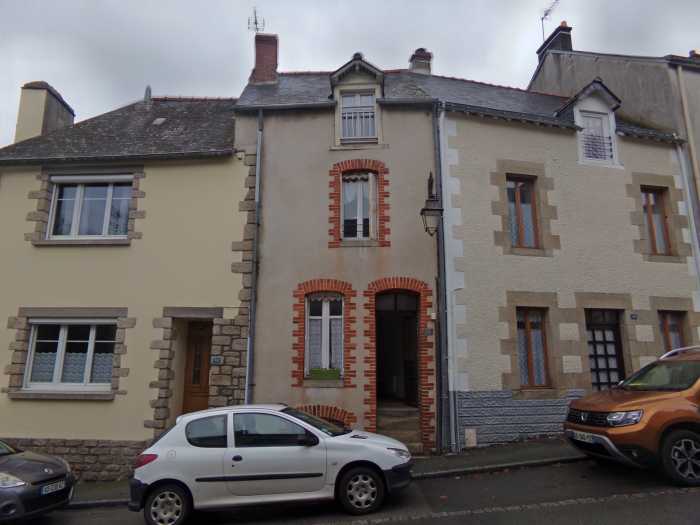 Josselin has excellent transport links and is an excellent central point for visiting all this beautiful area has to offer. Located close to the Castle and the canal, this maisone composes on the ground floor of a room of life and a done up kitchen. On the first floor, 2 bedrooms, one with shower room and closet, WC. Finally on the top floor, a bedroom and a bathroom.